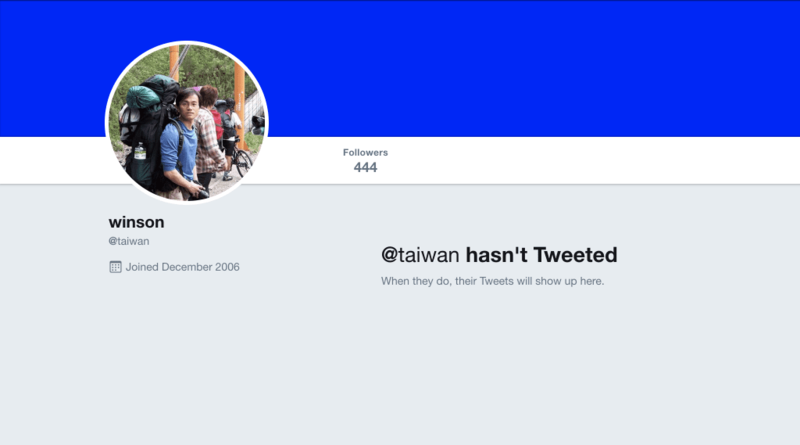 UPDATE: Winson was found, but unfortunately he’s declined to work together to help make the @taiwan Twitter handle a communication tool for Taiwan’s government. 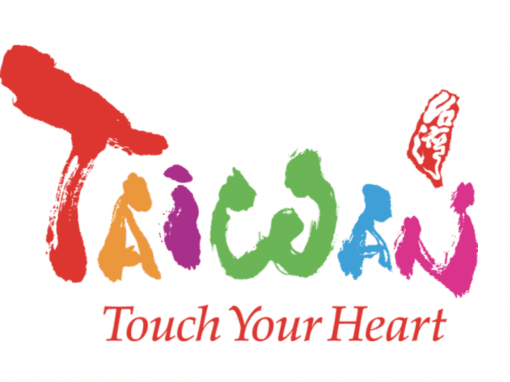 Back in December 2006, just nine months after Twitter launched, a young man named Winson registered the username @taiwan. But 12 years later, Twitter is now mainstream and the Taiwan government has been using it as a means to reach out to the world. 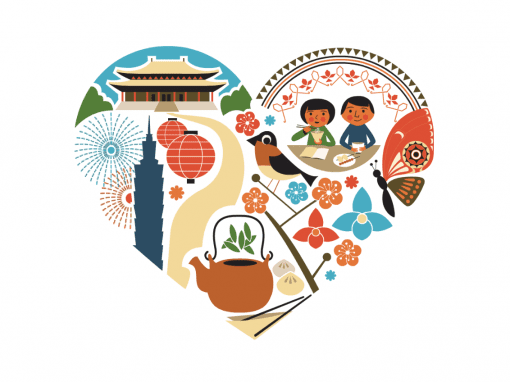 I’m thinking it would be pretty useful for Taiwan to have the @taiwan username. So I’m curious: does anyone know Winson? Does he look familiar at all? Maybe we can find him and try to get in touch. See if Winson would be okay with donating the account. Or we could all pitch in and buy him a gift or something? This is the public profile photo on the page. 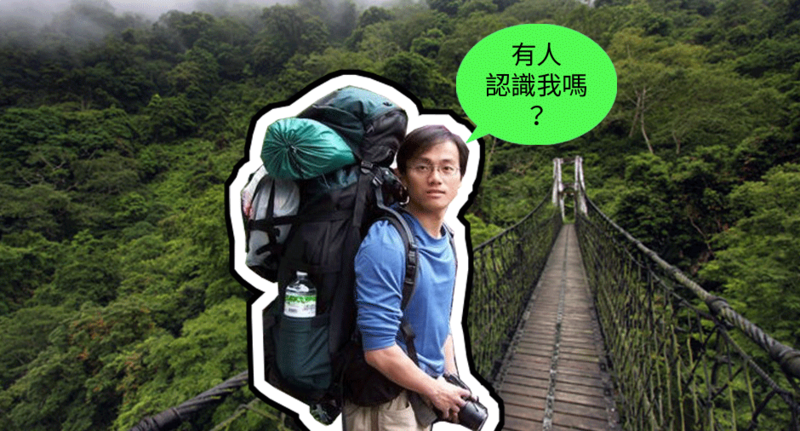 I assume it’s Winson during a backpacking trip. He looks keen to do some exploring, and sensible about hydration with that huge bottle of water in the side pocket. Seems like a good guy. I did a reverse Google image search and nothing comes up, sadly. I wonder what Winson is up to now. It’s been 12 years after all. Has he forgotten he owns the @taiwan account? 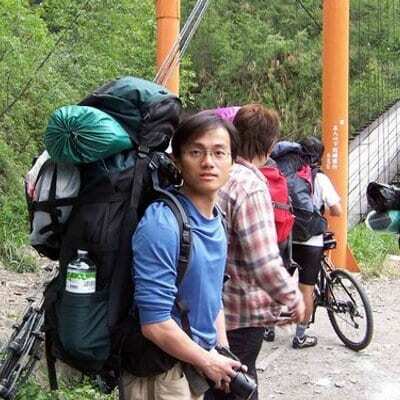 Is he still backpacking? What’s been happening, Winson? Share with us. Get in touch! Donating usernames has been done before, by the way. A man in Spain was thoughtful enough to donate some country and city usernames he owned to their respective governments. He’s donated both @canada and @japan. You can read about it in this Washington Post article from 2015.